Pattern available at Craftster here. This rippled crochet wrap is a Christmas present I’ve been working on for my mother-in-law. It’s actually the very first pattern I’ve ever written down and created myself and I have to say it wasn’t always easy. Although now that I’m finished I’m considering making another for myself. 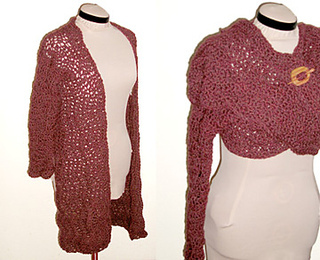 It was inspired by a hairpin lace wrap from Stitch Diva. (www.stitchdiva.com) I hope you enjoy it!